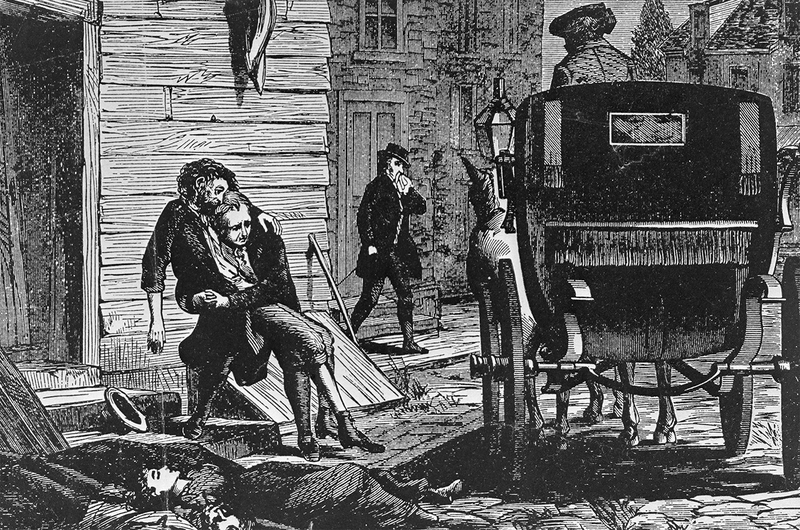 After the city and federal governments all but collapsed, residents of Philadelphia during the 1793 yellow fever epidemic were forced to care for their sick neighbors. The epidemic killed over 4,000 people and caused tens of thousands to flee the city. 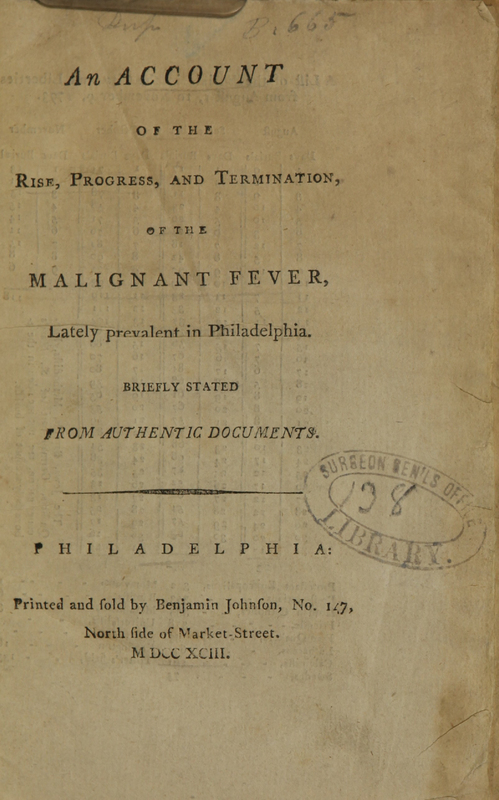 Dr. Benjamin Rush, a prominent Philadelphia physician and signer of the Declaration of Independence, split from many of his medical peers over the suspected origins and best treatment of yellow fever. 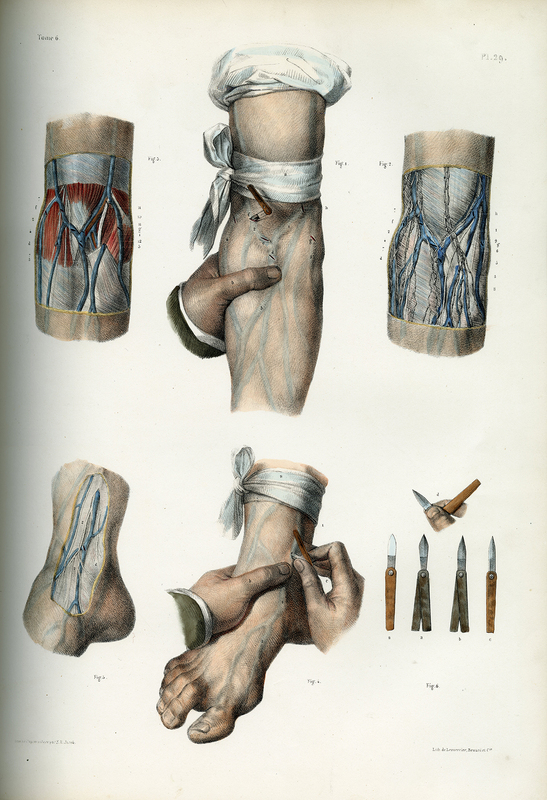 In his book, Rush chronicled his approach to the disease and experience treating yellow fever patients. 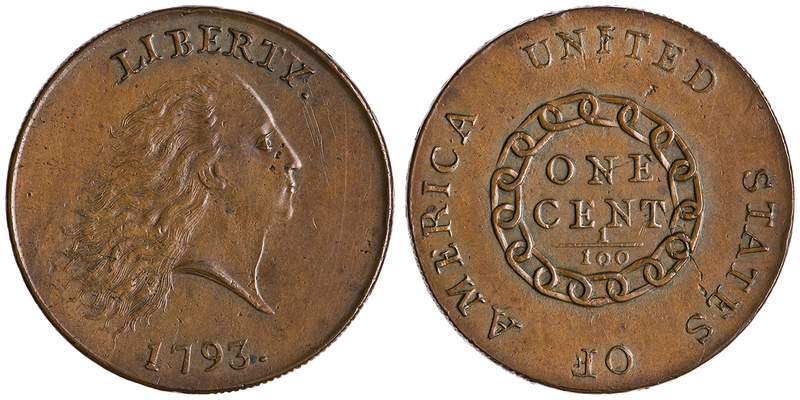 Both the Federalists and the Republicans, America’s first political parties, sparred over a variety of national as well as local Philadelphia issues. Members of each party seized on the yellow fever epidemic to advance their respective agendas. As a result, Philadelphia’s sick and dying received medical care informed as much by politics as by the best available science. Yellow fever is a viral infection that damages the liver. The resulting jaundice, or yellowing of the skin, is how the disease gets its name. Symptoms include a high fever, fatigue, body aches, chills, nausea, bleeding, and black vomit. 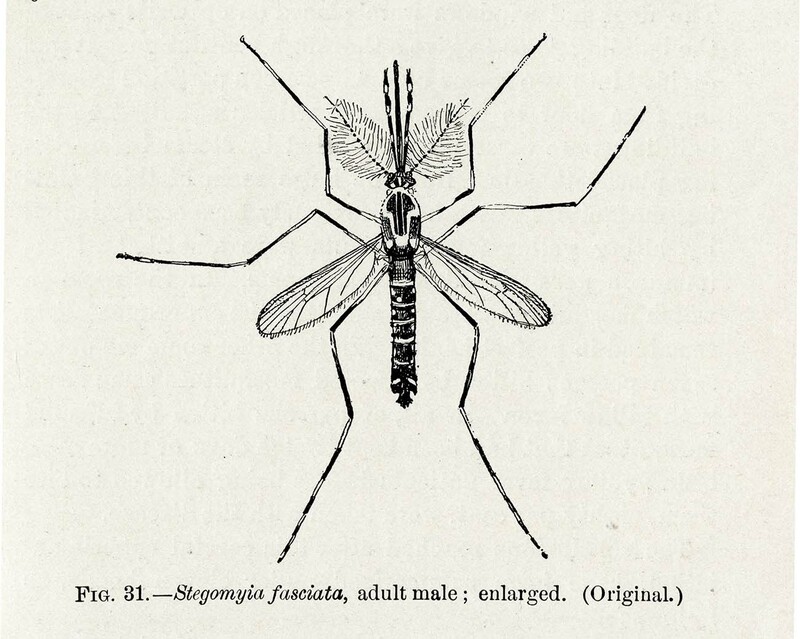 The Aedes aegypti mosquito transmits yellow fever, a fact not known to doctors in 1793 Philadelphia. 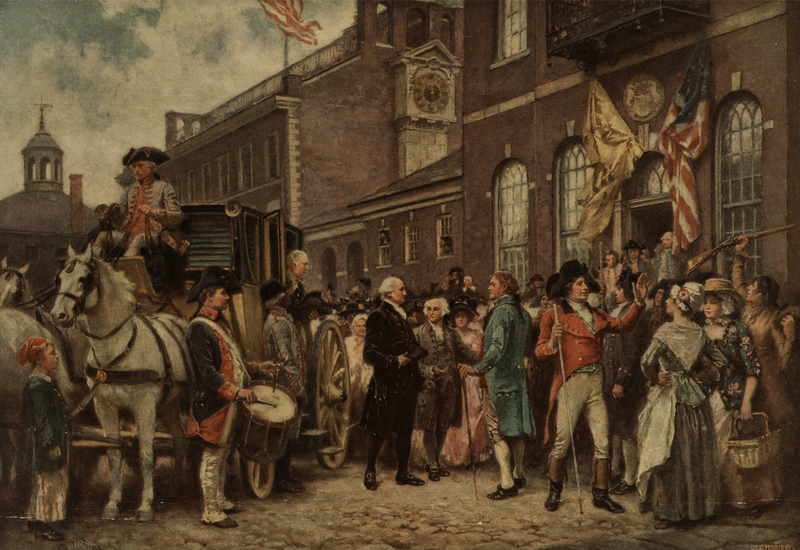 George Washington took the oath of office for the second time a few months before yellow fever arrived in Philadelphia. During the epidemic, he and many other politicians fled the city for the safety of the surrounding countryside. 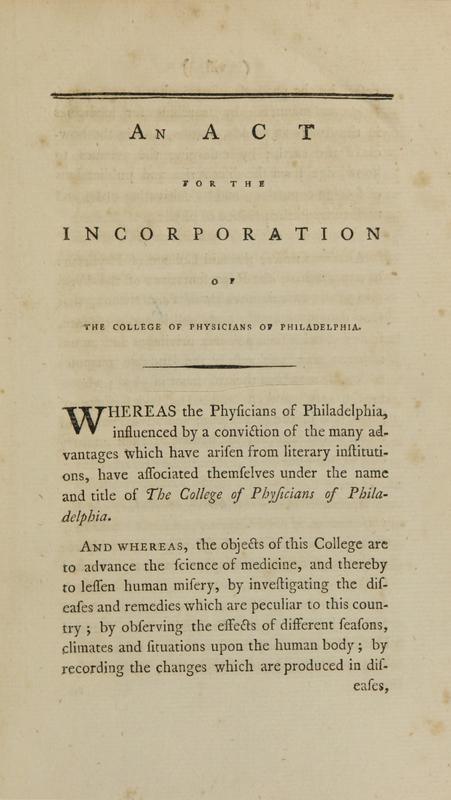 Members of The College of Physicians of Philadelphia, established in 1787, came together to study diseases and their remedies. 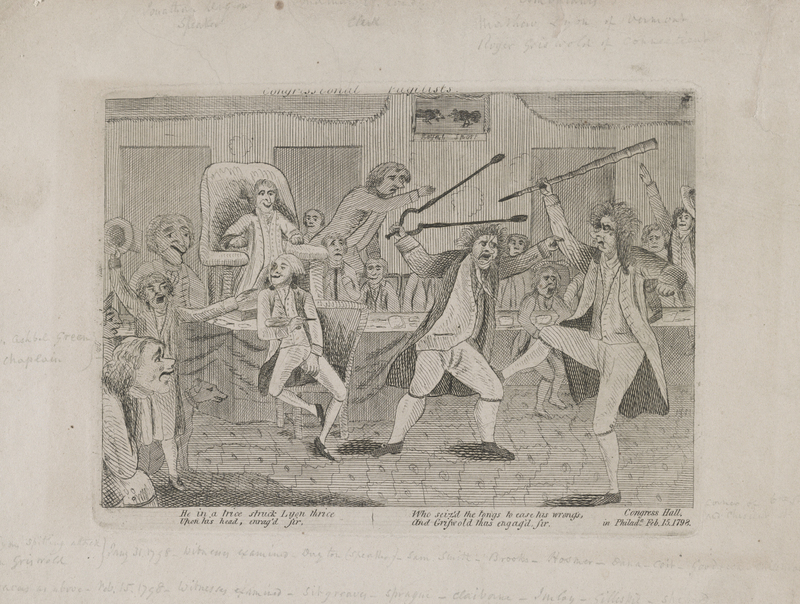 During the yellow fever epidemic, members met to debate its causes. Philadelphia was dirty. 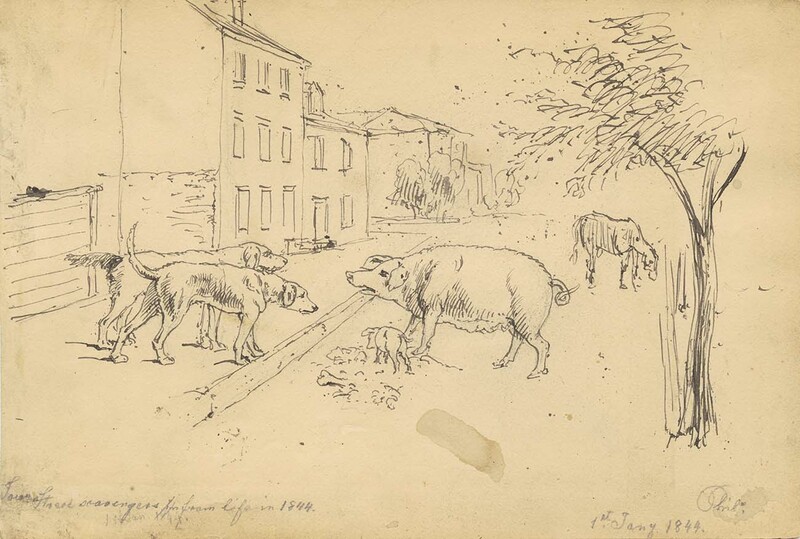 Like other urban centers in this era, sewage flowed through the city’s streets, animals (and their wastes) were common, and there was no regular garbage removal. Dr. Benjamin Rush was both a politically active republican and a prominent physician in Philadelphia. 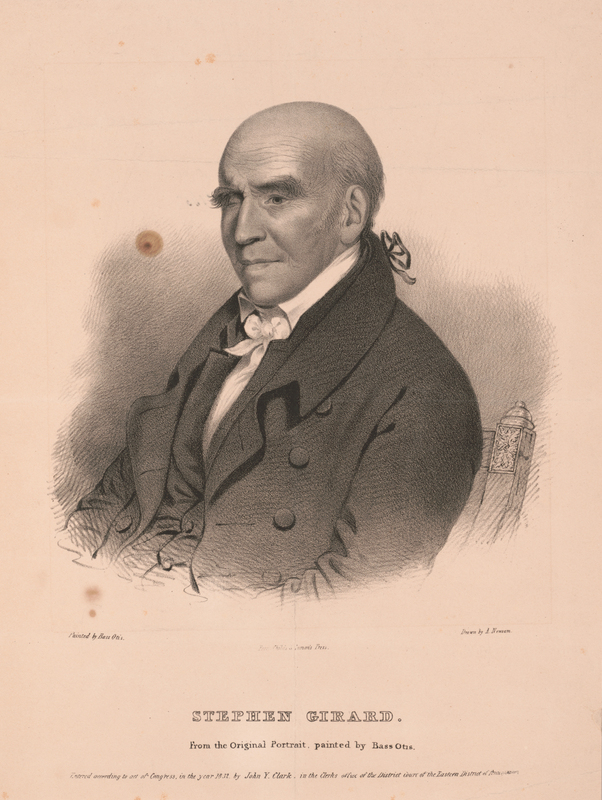 He contracted yellow fever during the epidemic but survived, an outcome he credited to the treatment plan he developed. 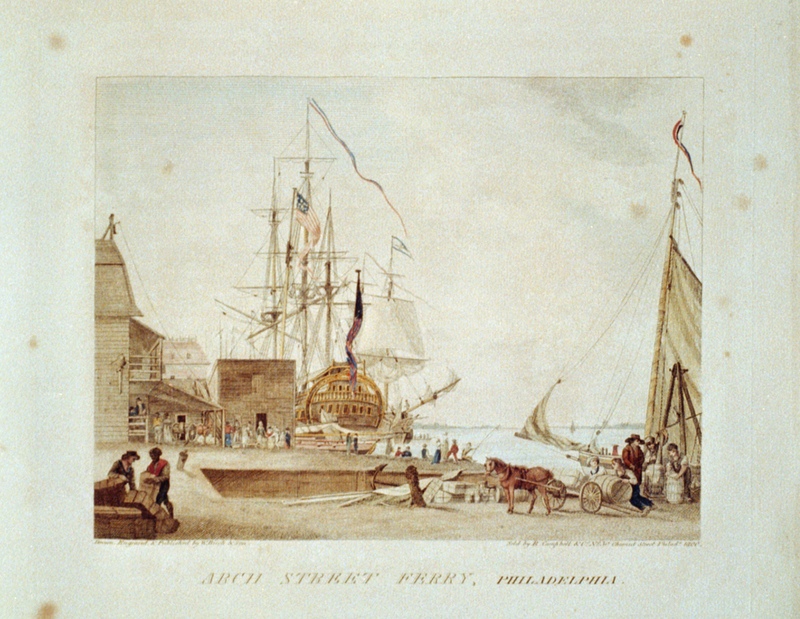 When yellow fever emerged in Philadelphia in 1793, Dr. Benjamin Rush linked the epidemic to a shipment of coffee beans left to rot on the Arch Street wharf. The “putrid beans had emitted [a] noxious effluvia,” a miasma or bad smell, that seemed to sicken people. 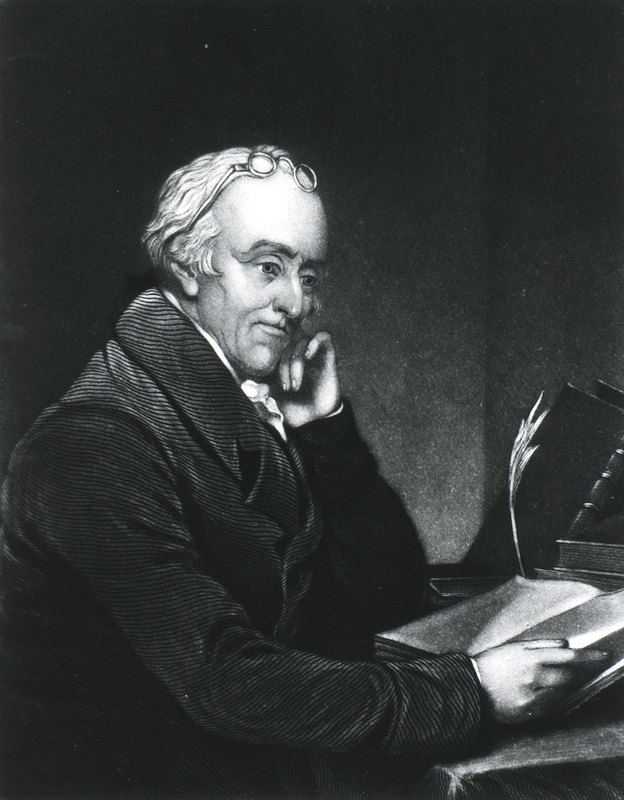 Dr. Benjamin Rush employed bleeding, purges, and doses of mercury in his treatments for yellow fever. He may have used tools like these to open his patients’ veins and bleed them in “copious” amounts. 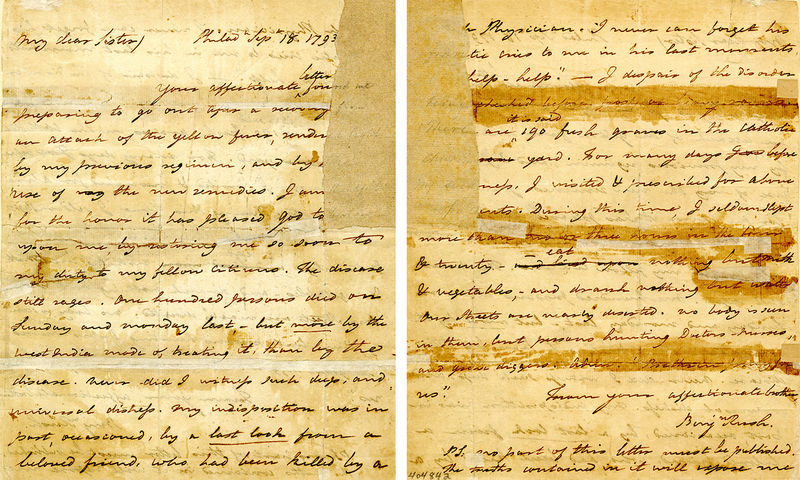 In this letter to his sister, written during the yellow fever epidemic, Dr. Benjamin Rush described the “deep and universal distress” in Philadelphia. He mentioned “190 fresh graves” in the churchyard and “nearly deserted” streets. 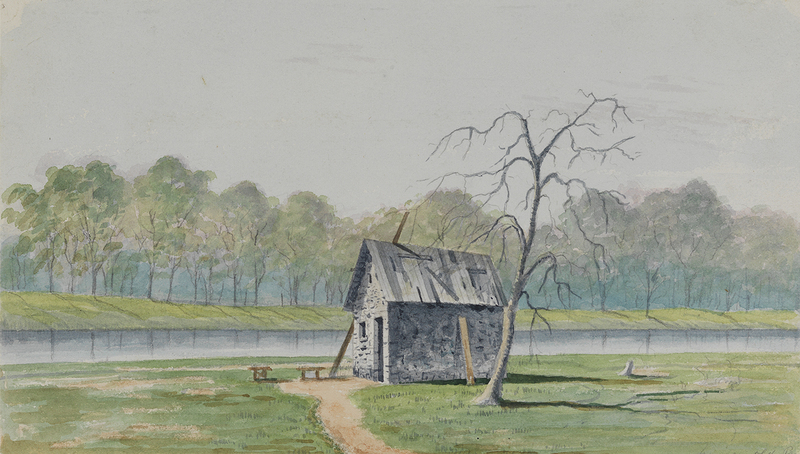 People outside Pennsylvania followed developments in Philadelphia. 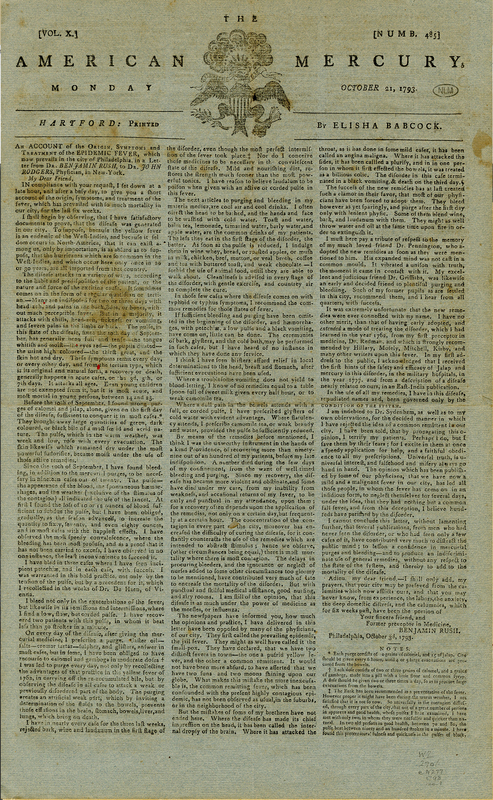 During the height of the epidemic, this Connecticut newspaper dedicated three columns to a letter in which Dr. Benjamin Rush outlined his suggested treatment plan. Secretary of the Treasury and leading Federalist Alexander Hamilton contracted yellow fever but survived. 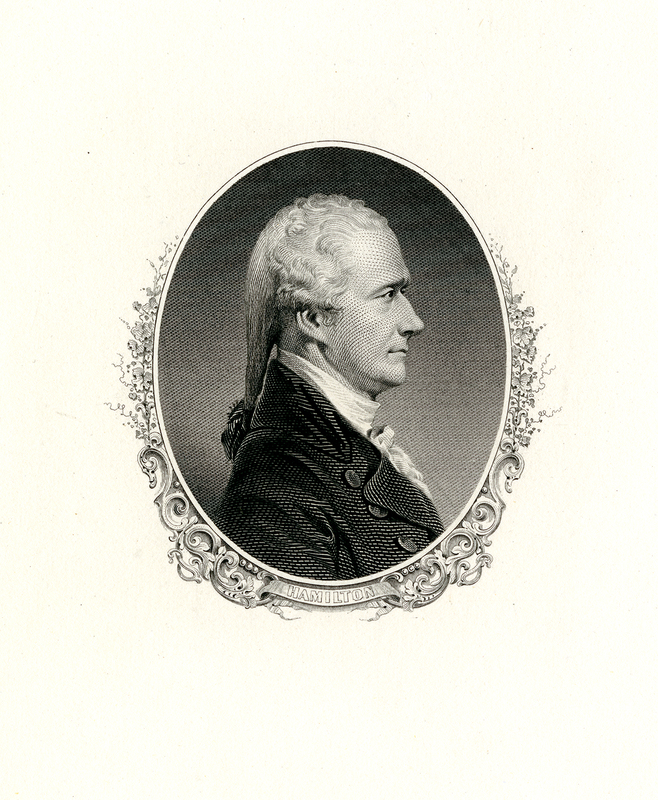 Although he was not a doctor, Hamilton waded into heated public and medical debates about yellow fever. Alexander Hamilton and his Federalist peers thought that yellow fever was an imported disease. 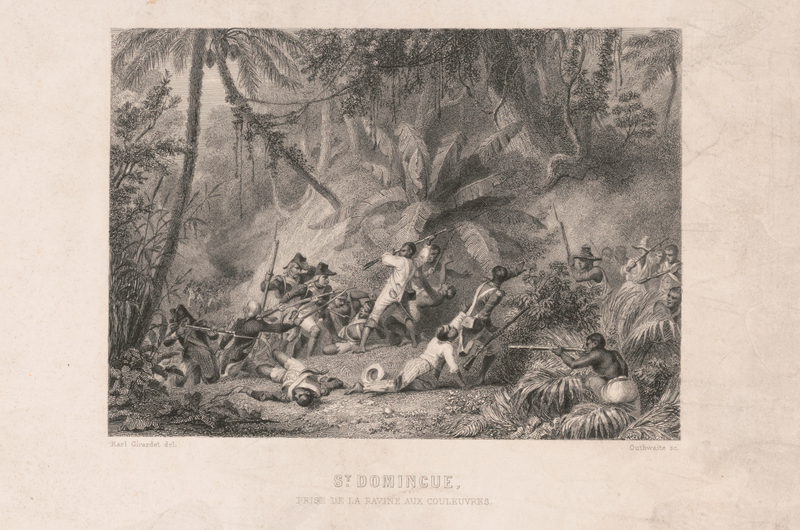 Hamilton identified the sick, white, French refugees fleeing the Haitian Revolution as the source of yellow fever in Philadelphia. 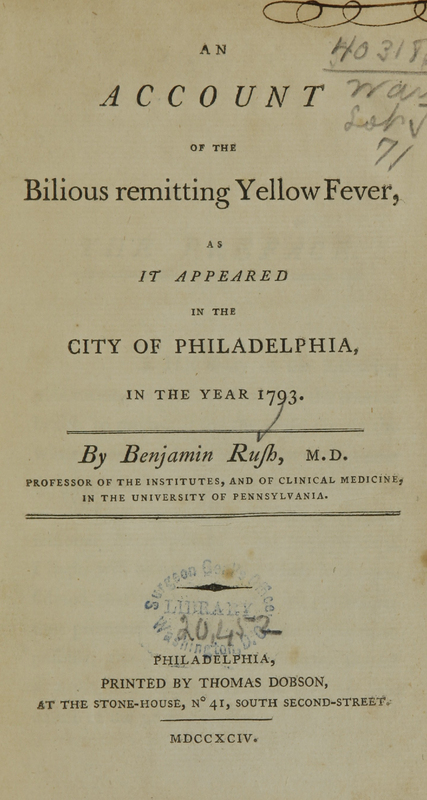 The College of Physicians determined that yellow fever is an imported disease. Their stance affirmed the Federalists’ point of view. 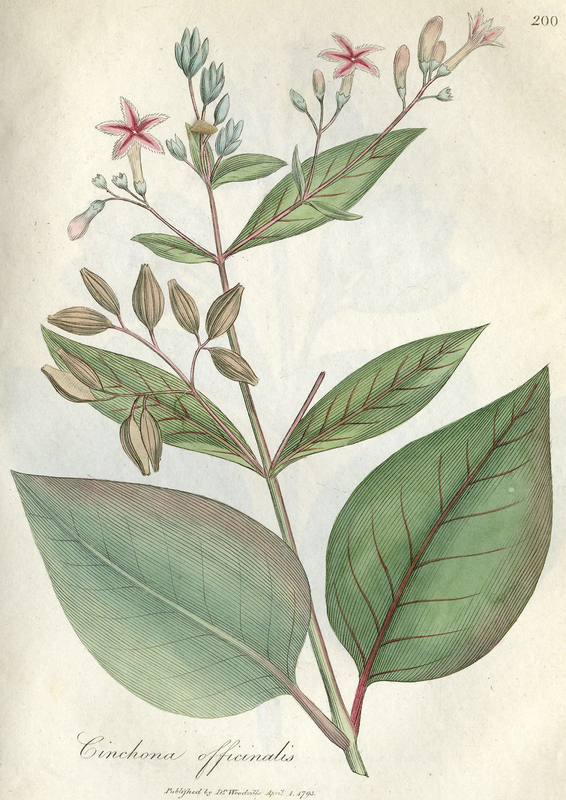 The bark of the Cinchona tree, a source of quinine, was the bark in the “bark and wine” cure. Madeira wine was the wine portion of the cure. Secretary of the Treasury and leading Federalist Alexander Hamilton favored the “bark and wine” treatment for yellow fever. Secretary of the Treasury Alexander Hamilton and his Federalist peers used newspapers to publicize their understanding of yellow fever. These newspaper articles, and others like them, linked treatment approaches to specific political figures and their party. Philadelphia’s residents answered the call to help their suffering neighbors. The Committee published this detailed record of their meetings, financial dealings, and efforts on behalf of the sick, orphaned, and poor. Despite this documentation, Philadelphia’s residents grew skeptical of The Committee’s spending. The Committee, a group of private citizens, came together to organize desperately needed relief services. They accepted small financial contributions and donated supplies from Philadelphians and concerned Americans in other cities. They also took out a loan to pay for the relief work. 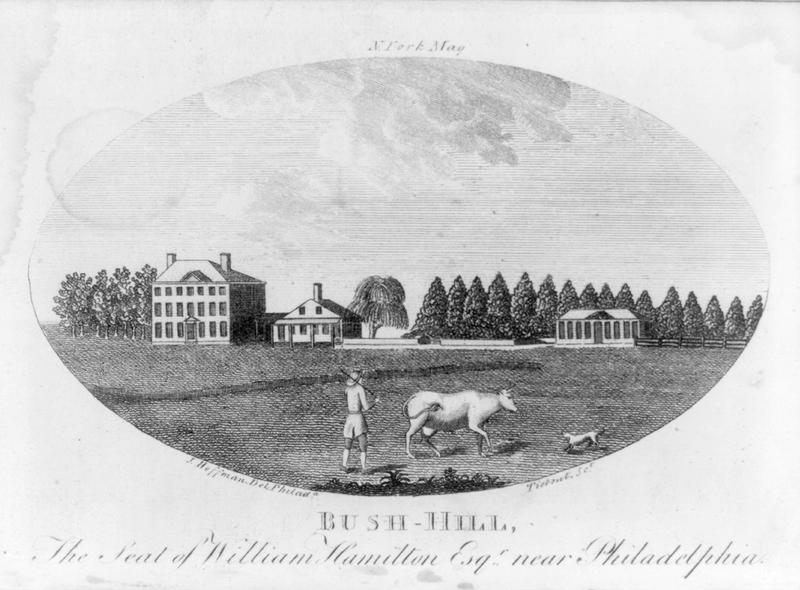 A vacant estate just outside Philadelphia, Bush-Hill, became a public hospital operated by The Committee. Hundreds of sick people were treated there during the yellow fever epidemic. 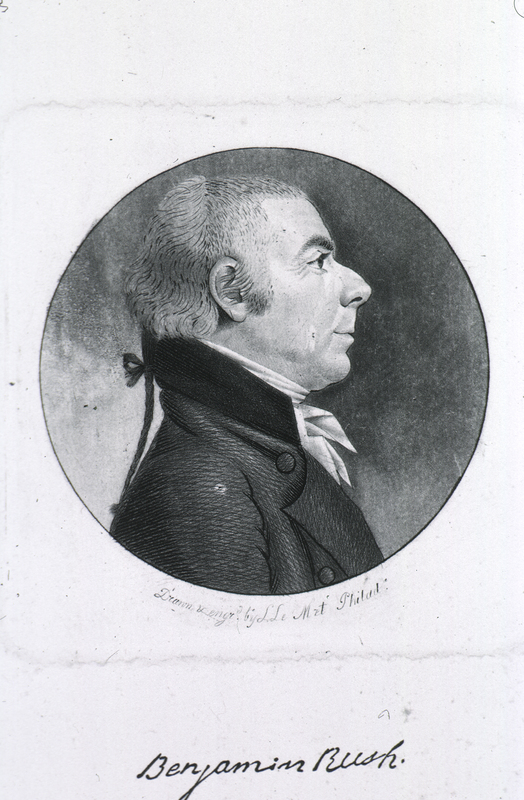 Stephen Girard, a wealthy merchant, took over administration of Bush-Hill Hospital in mid-September 1793. By the end of the yellow fever epidemic, Girard’s work to improve hospital conditions made him a local hero. 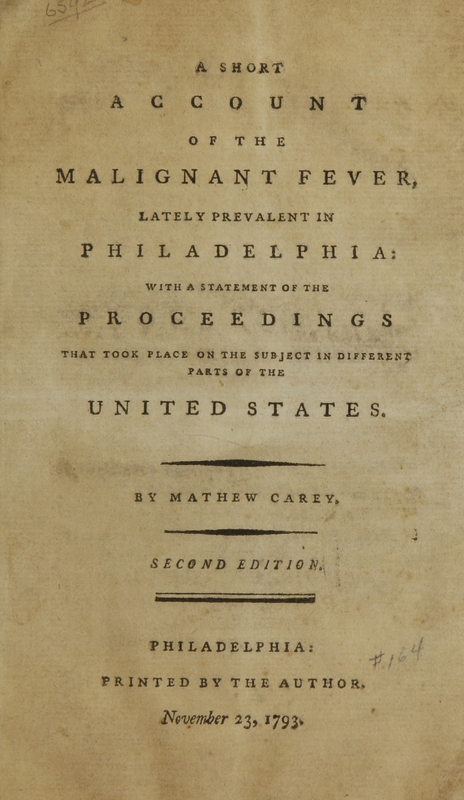 Matthew Carey, a printer, bookseller, and member of The Committee, documented the epidemic in his popular book. 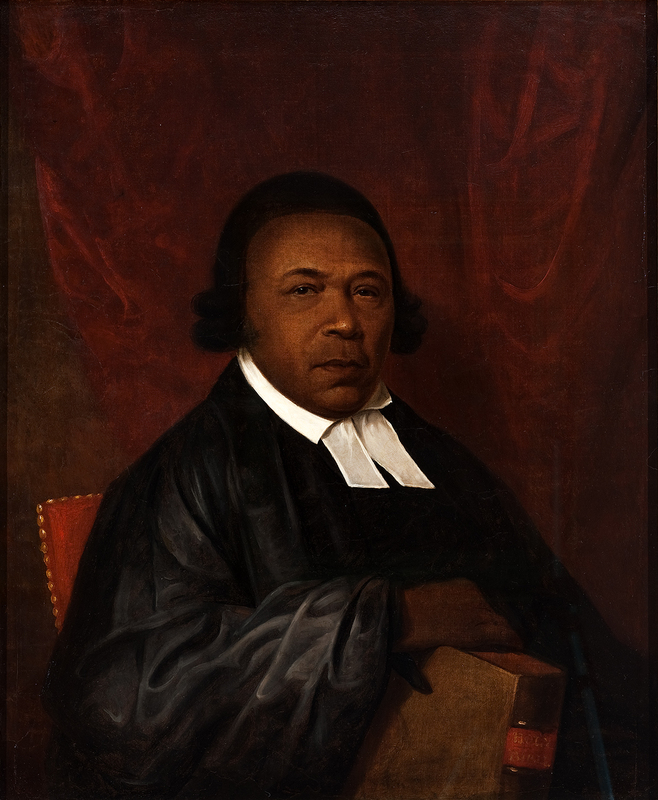 Absalom Jones and Richard Allen, both ministers and former slaves, founded the Free African Society in 1787 to provide social services to free people of color in Philadelphia. 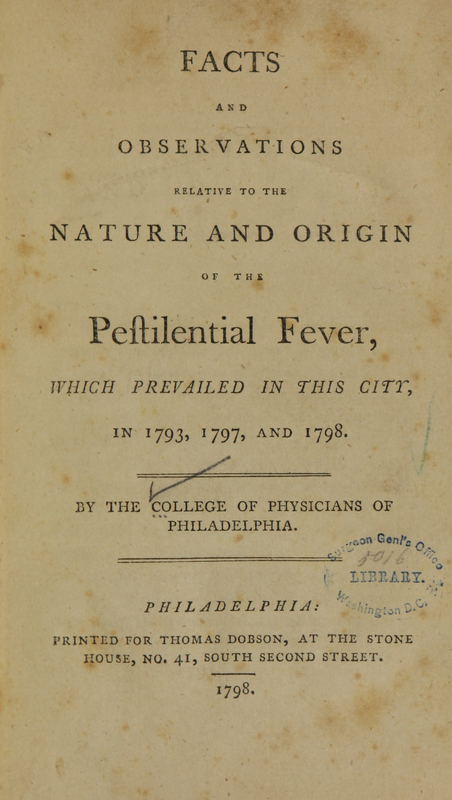 This experience prepared the Society to respond to yellow fever on behalf of all Philadelphians. 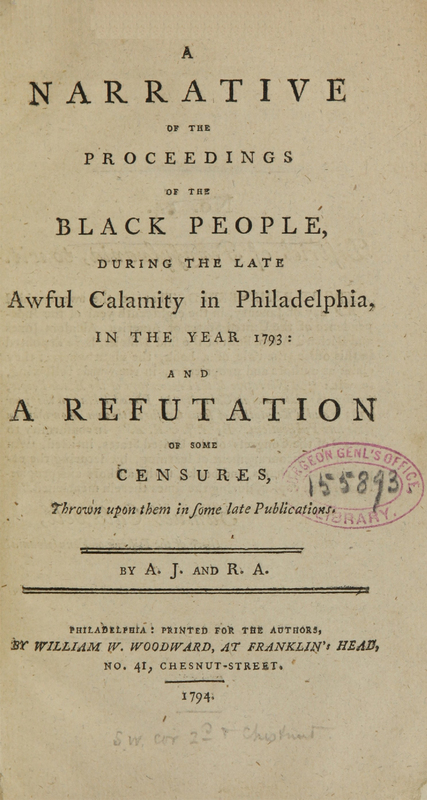 Richard Allen and Absalom Jones, both ministers and former slaves, founded the Free African Society in 1787 to provide social services to free people of color in Philadelphia. 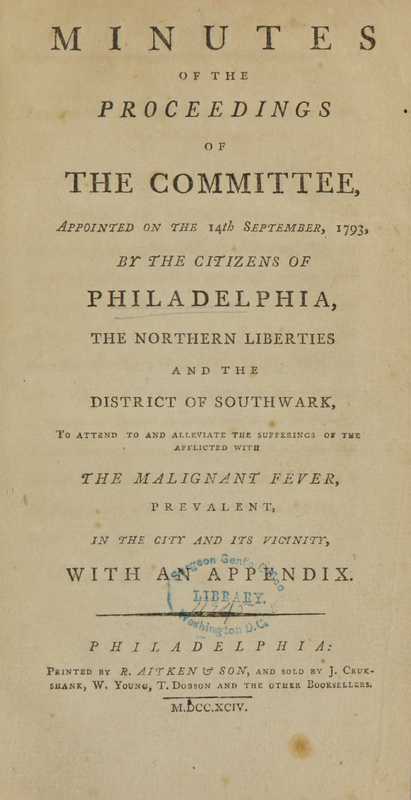 This experience prepared the Society to respond to yellow fever on behalf of all Philadelphians. 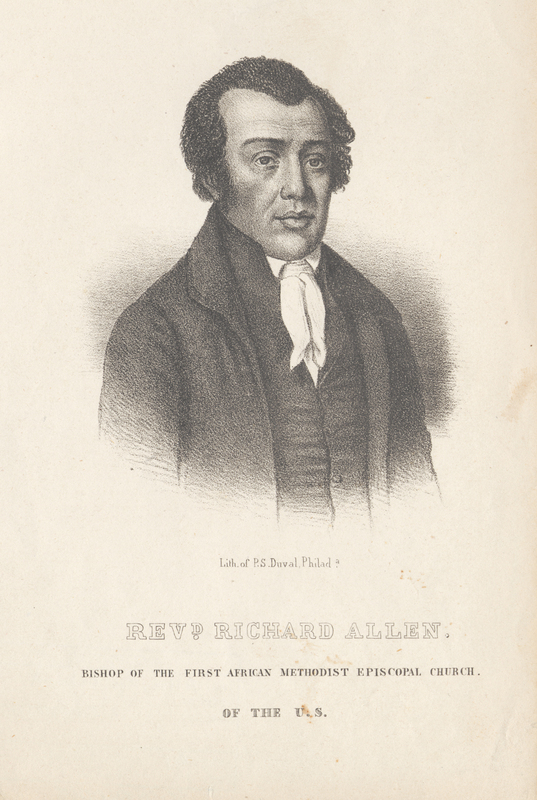 Reverend Richard Allen’s parishioners were deeply involved in the response to yellow fever. Work on the congregation’s new building stopped during the epidemic. 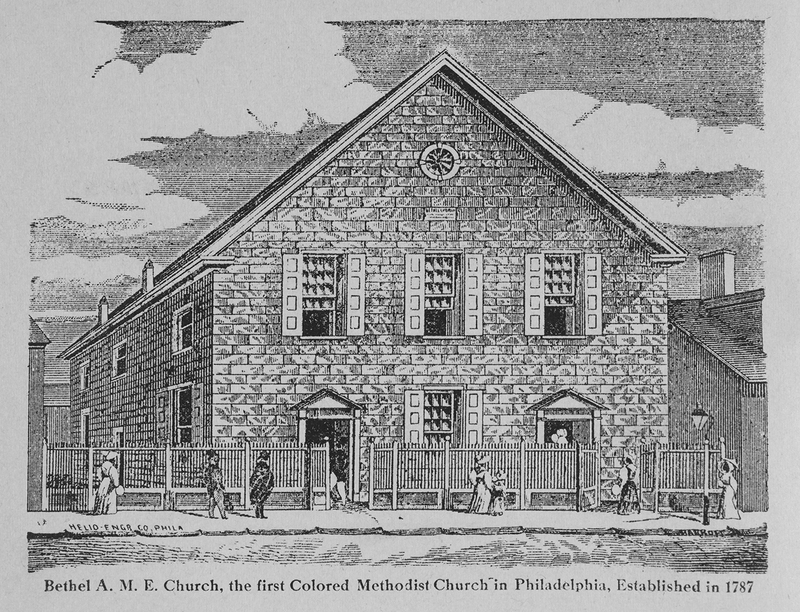 The church, Bethel African Methodist Episcopal Church, was not dedicated until one year after the epidemic ended. This structure stored some of the bodies awaiting burial during the epidemic. During Philadelphia’s 1793 yellow fever epidemic, African American volunteers removed bodies from homes and buried the dead. Reverends Jones and Allen reported the heroic work done by Philadelphia’s African American community. They also used the book as an opportunity to respond to critics of their community.